It's the spookiest event of the year! 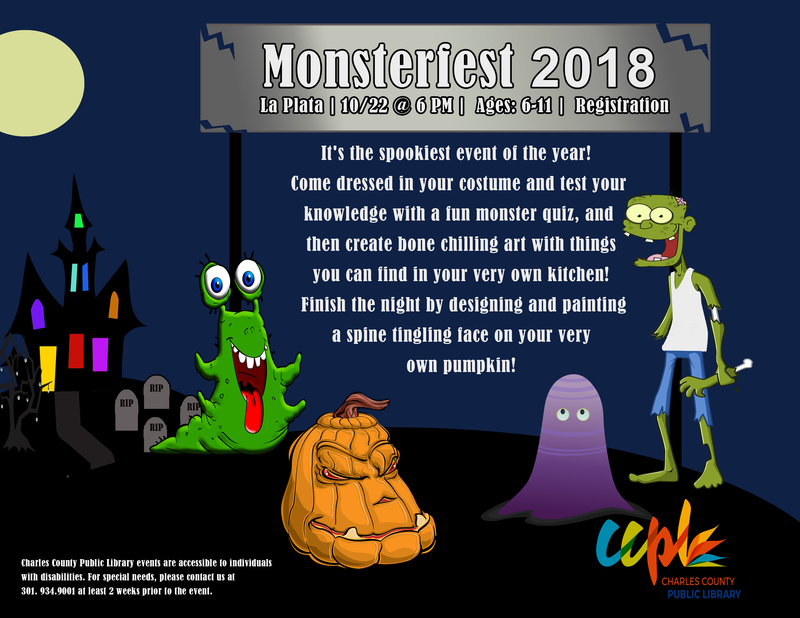 Come dressed in your costume and test your knowledge with a fun monster quiz, and then create bone chilling art with things you can find in your very own kitchen! Finish the night be designing and painting a spine tingling face on your very own pumpkin! Recommended for age 6-11.